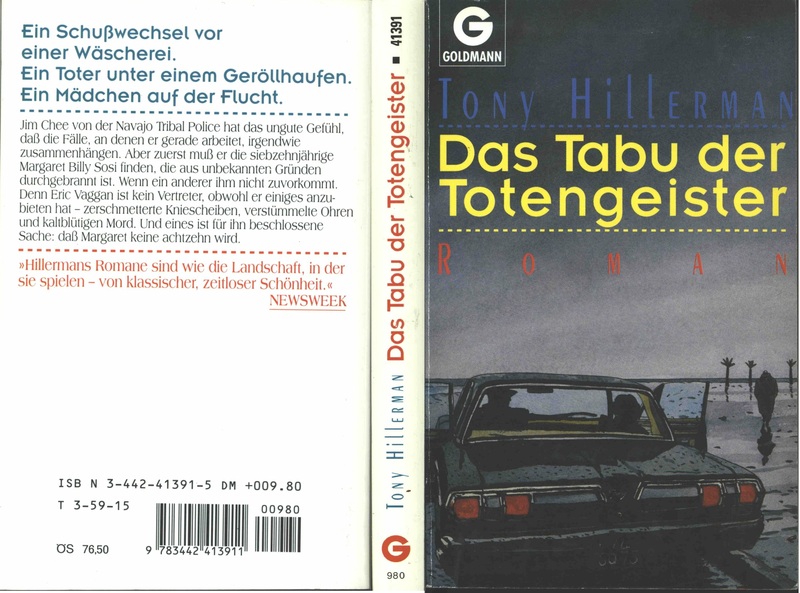 The full and detailed views of the Goldmann paperback publication of The Ghostway, the sixth book in Tony Hillerman's Navajo Mystery Series and the third novel featuring the protagonist Sergeant Jim Chee of the Navajo Tribal Police. This edition is a reissue of Klaus Fröba's translation originally published by Rowohlt. 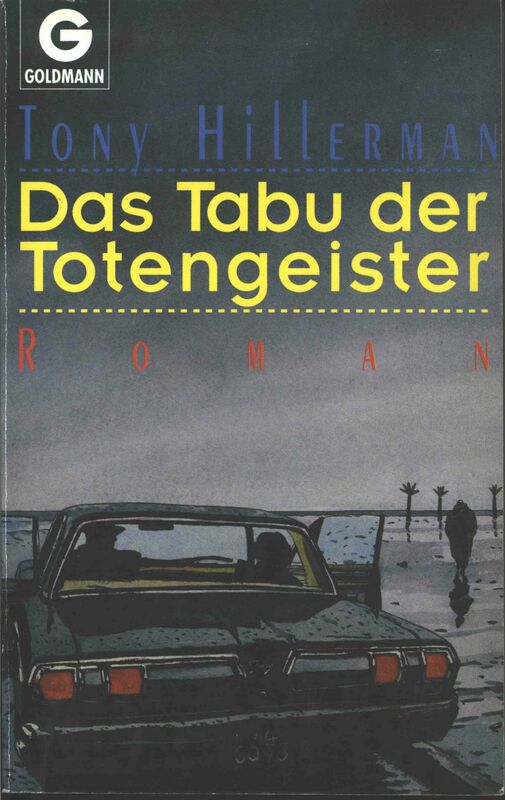 The cover, illustrated by Jacques de Loustal, pictures two figures silhouetted in a car watching a man walk towards them across a beach with palm trees in the distance.